Back in 1994, Microsoft's first ergonomic keyboard showed us that the traditional design maybe wasn't as comfortable as it could've been, and that we didn't have to deal with a crippling pain in our wrists just to send an email. 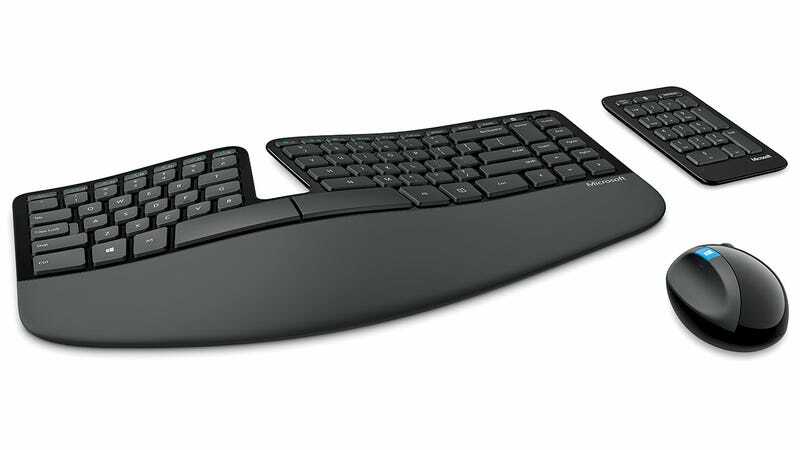 An age of ergonomic accessories was born, and the piece de resistance of the past 20 or so years would have to be Microsoft's new Sculpt Ergonomic Desktop set, featuring a trio of comfy input options. The wireless mouse and separate number pad don't appear to be breaking much new technological or design ground. But that split keyboard is a thing of beauty, one that keeps your wrists and forearms in a more relaxed position while the arced keyboard follows the curves of the average finger so it feels more natural as you pound away on the keys. Not surprisingly it's optimized for Windows 8 and 8.1, but should play nice with whatever system and OS you prefer. And at $130 it could even improve your back and posture by considerably lightening the wallet in your back pocket.